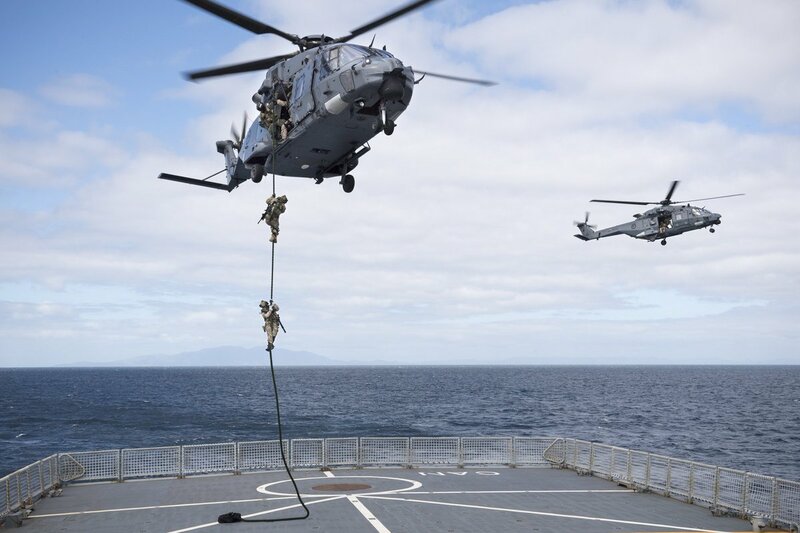 Force P-3K2 surveillance aircraft, HMNZS Canterbury, two sea boats, two RNZAF NH90 helicopters and a platoon of soldiers. 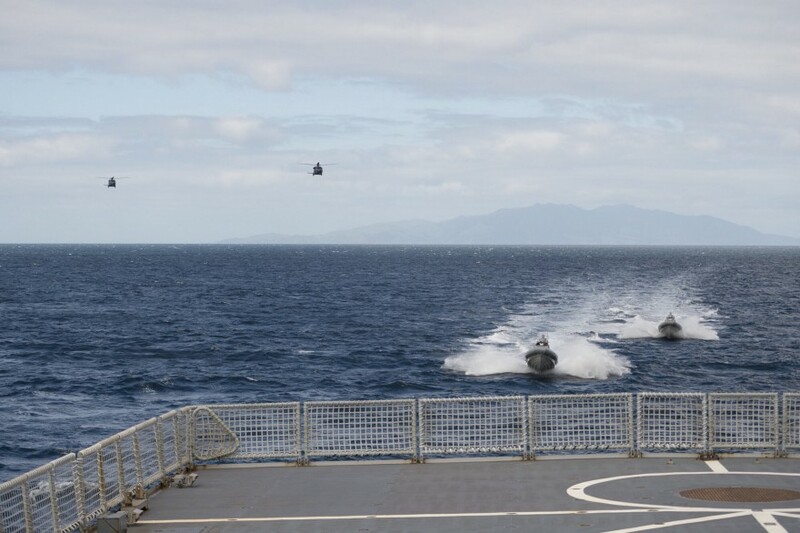 The New Zealand Defence Force (NZDF) held recently a four-day joint amphibious exercise off the Hauraki Gulf to help maintain its readiness for military operations. 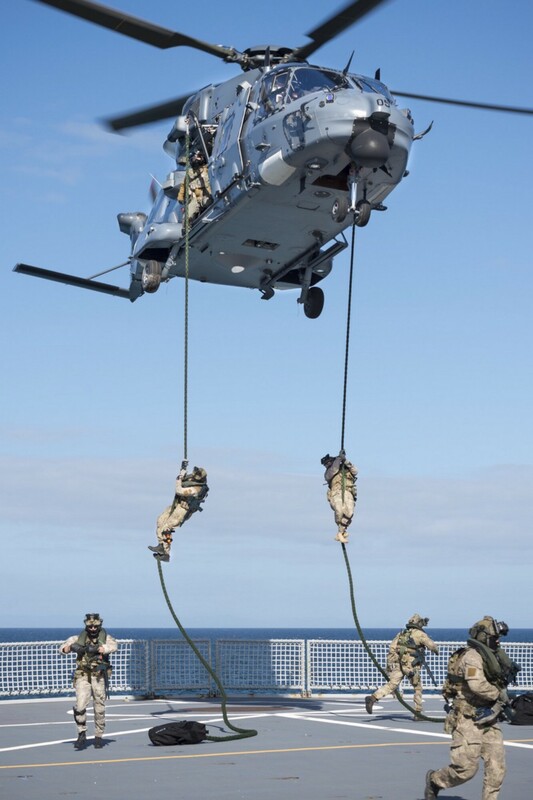 Major General Tim Gall, the Commander Joint Forces New Zealand, said the exercise simulated a combat situation that culminated in troops descending quickly on ropes from two Royal New Zealand Air Force (RNZAF) NH90 helicopters to the Royal New Zealand Navy’s strategic sealift ship HMNZS Canterbury while under way. 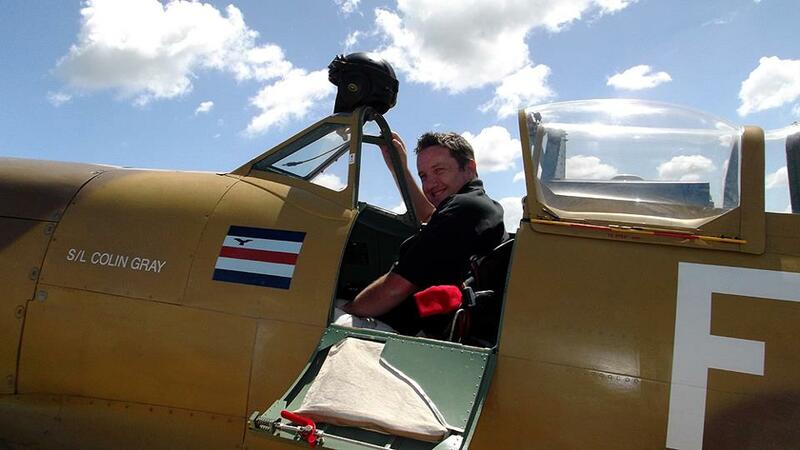 An RNZAF P-3K2 Orion surveillance aircraft, two sea boats and a platoon of soldiers also took part in the exercise. 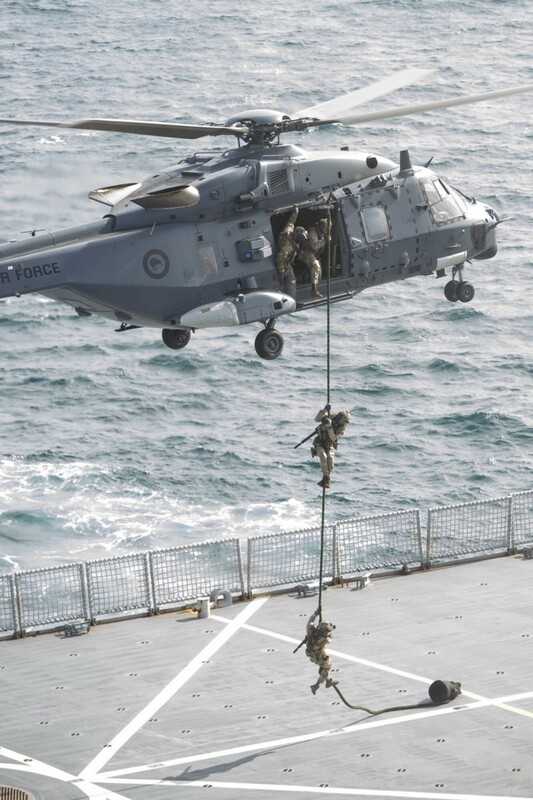 during a training exercise off the Hauraki Gulf. “The scenario required all those assets to operate as one task group to overcome a threat,” Major General Gall said. The exercise included day and night operations.